Decorating during the summer is probably one of my favorite seasons. And this year I am so lucky as to have a bright blue door that coordinates perfectly with the boldness of RED, WHITE and BLUE. 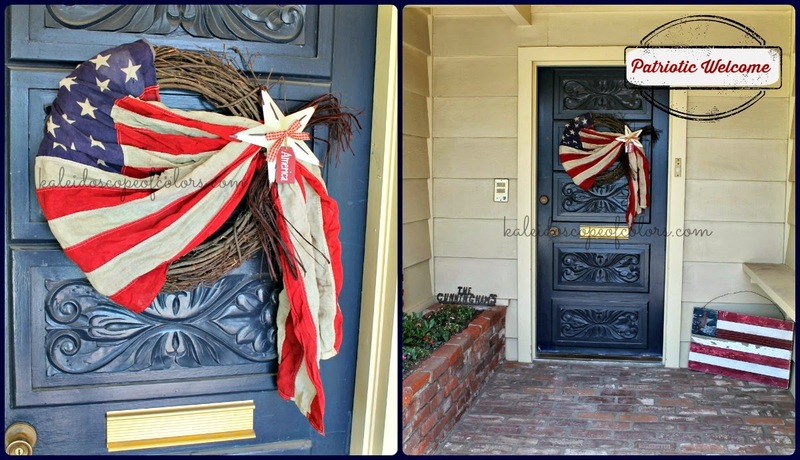 I've made this wreath previously and had to reprise it because it looks so striking against the door and just pops. 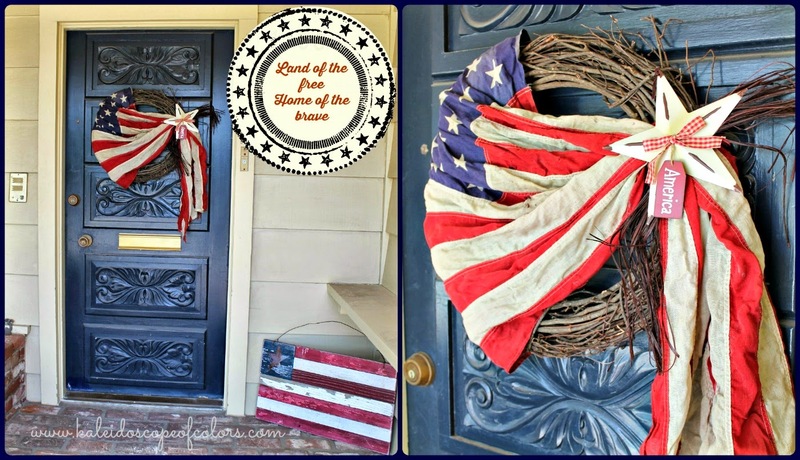 Adding Americana charm to my front door. 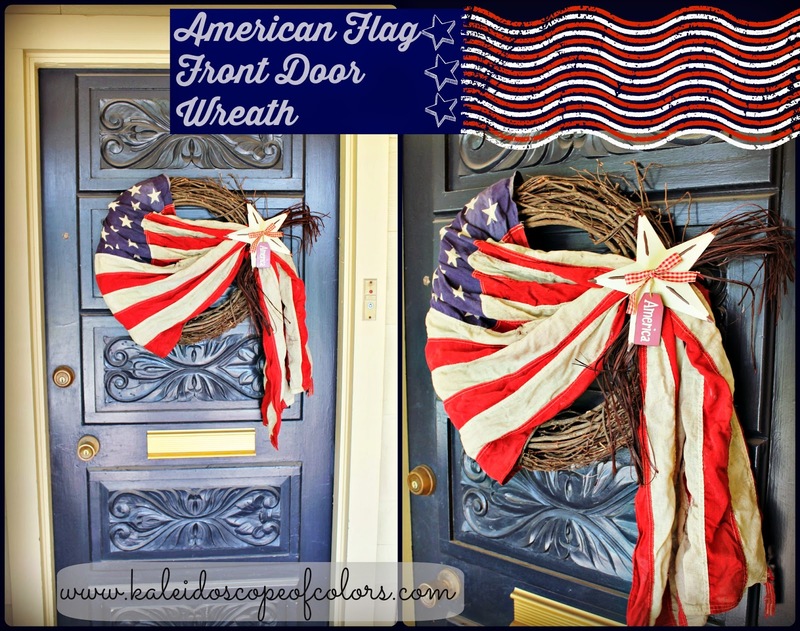 If you would like to create your own version of this wreath you can find the instructions HERE on my previous post You're a Grand Old Flag Wreath. This is a much smaller version, I used an 18" grapevine wreath and the metal star was purchased from JoAnn's. The American Flag was purchased at a local flea market. Confessing that I absolutely love these colors and loving my dark blue front door. Any questions please let me know.